Your Spouse Has Prepared, Have You? Or maybe you just have your suspicions that a divorce may be looming in the near future… Your spouse comes home from work later than usual, she hangs out with her girlfriends on the weekends more often or maybe she keeps her cell phone locked. In either situation, you need to make sure you are prepared. 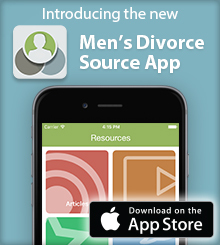 Below you will find a step-by-step guide to follow if you think a divorce may be on the horizon. While it may not seem obvious at first, if you think a divorce may be on the horizon, it is better to consult with an attorney before any legal action is taken. Your attorney will be able to provide you with advice and recommendations that are specific to your state’s laws. For example, in Indiana, it is not advisable to vacate the marital residence if you and your spouse are contemplating divorce because you could forfeit your right to maintain temporary possession of the home while the divorce is pending. Cordell & Cordell has office locations in more than 100 cities across the United States with attorneys available to provide advice and recommendations during any stage of the divorce process. If you are like many men who leave the finances to their wives, it is critical that you begin to organize your financial information. You will need to make a list of all financial accounts that are held by you and your spouse jointly or individually, as well as look into the balances of those accounts. You may find that your spouse has been withdrawing large amounts of cash over the past couple of months, or maybe she is overspending what money is coming in. In either event, it is extremely important that you organize all of your assets and liabilities and figure out what your monthly expenses are. It is easier to protect your money before it is gone than to try to recover it once it has been spent or transferred into a secret account. Make sure you know where all of the important legal documents are stored in your home and make copies of the same. Your lawyer will ask you to produce copies of birth certificates, social security cards, titles to vehicles or other items of property, estate planning documents, prenuptial agreements, passports, etc. You do not want to be in a position where your spouse claims she doesn’t have the title to your car and it has mysteriously vanished. Additionally, if your children have passports and you are afraid your spouse may try to travel with the children without your permission, keep the passports in your possession. First, take pictures of your wife’s jewelry. I cannot stress the importance of this enough. Jewelry is a valuable asset of the marriage, and may be included as part of the marital estate that is subject to division. If you do not know what items of jewelry your wife has, or how much they are worth, it will be difficult for your attorney to argue that those emerald earrings you got her for Christmas are worth $2,000.00 without proof of the same. Second, if you have any valuable items of personal property, such as firearms, watches, cufflinks, pieces of art, vases or anything you may have inherited from your family, you need to know where these are, and/or place them in a safe deposit box at your bank. It is probably a good idea to take pictures of these items as well, even if you take them into your possession for safekeeping. The goal here is to preserve a record of the items of property that are contained in your home should anything mysteriously disappear at the time a petition for divorce is filed or to make a record of the condition the items of property are in before they may get damaged or destroyed. Again, if your spouse takes these items and later claims she didn’t, and you don’t have any proof that she did take them, it will be difficult for the court to order their return to you. Protect yourself now by making an inventory of the marital residence so when it comes time to divide the contents of the marital residence, you will know exactly what you want and where it is. If there are any photos you want to keep, make copies of them now, or place them in a safe deposit box. Trust me – this issue will come up. Those expensive school pictures you pay for every year will suddenly become the one thing that your spouse can’t live without – and I’m sure you don’t want to live without them either. If you make copies of the photos now, or place them in a safe deposit box, you will not risk losing these precious memories in a divorce. If you have children, this will more than likely be at the top of your priority list. Do not think for a second that your spouse has not already started gathering evidence or thinking about ways to make sure she gets to keep primary physical custody of the children. Whether it’s to barter for more money or to simply get back at you for all of the wrongs you have committed against your spouse, you need to be prepared for a custody battle. FIRST – Do not post anything on Facebook or other social media accounts that you do not want a judge to see. The same goes for text messages. Set your social media account settings to private. If you have friends that have access to your profile that you do not know or trust, delete them as friends. Your spouse may start saving any information you post online to use against you in a custody argument, so proceed with caution. SECOND – Look at your spouse’s Facebook or other social media accounts. She may have information posted now that could help you in a custody battle. Save or print any information that you think might help you. But, do NOT hack into your spouse’s accounts if you do not already have access to them. This could not only hurt your case, but could subject you to criminal fines, penalties or sanctions depending on your state’s laws. THIRD – Know your children. Many fathers can get wrapped up in making sure their family is financially provided for. While this is important, it could hurt your case if you are seeking primary custody. Your child’s schedule – What time does your child get on the bus and off the bus? What extracurricular activities does your child participate in and when? Have you attended these extracurricular activities? Your child’s medical care providers – What are the names of your child’s doctors, dentists, counselors, etc.? Does your child have any allergies, or special medical needs or treatment? If so, what are they? Do you participate in the same? Your child’s teachers – Who are your child’s teachers? Have you been to parent/teacher conferences recently? Do you know how your child is doing in school? Do you help with homework? Your child’s friends – Who are your child’s best friends? Do you know the names of your child’s friends’ parents? Even if you are unsure whether a divorce will actually happen, it is better to be prepared than to be caught by surprise when a process server shows up with divorce papers in hand. The more preparation you are able to do up front, the better your chances are of obtaining a fair settlement once the divorce is finalized.